Hope everyone’s had a wonderful Thanksgiving! Just wanted to do a quick post about a good friend that is doing something pretty extraordinary with his artistic talent. 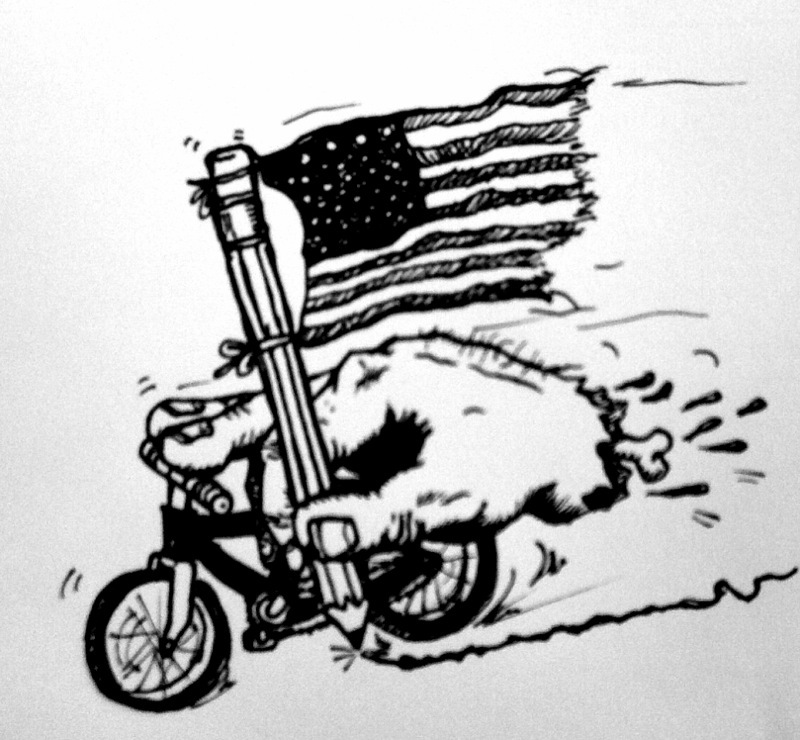 His name is Eric, and this past September, he set off on an adventure to ride his bike around America and draw it. His website is drawingamericabybike.blogspot.com/, and he’s got a pretty sweet deal where he’ll send you a hand-drawn postcard for a $5 paypal donation to fund the trip. The blog has been fun as heck to read, as he posts fairly regularly on the comings and goings of his trip (over 50 miles a day on bike!) For anyone who is a fan of biking, it’s a great narrative, and for anyone who loves Robert Crumb or Gary Larson cartoons, he’s equally talented and posts new cartoons regularly.